About a half a year ago I bought a nice self-striping merino wool. Several days ago I was going through my stash and my eye rested on this happy yarn. It was snowy and cold outside and I decided that I will make Spring time inside my living quarters. 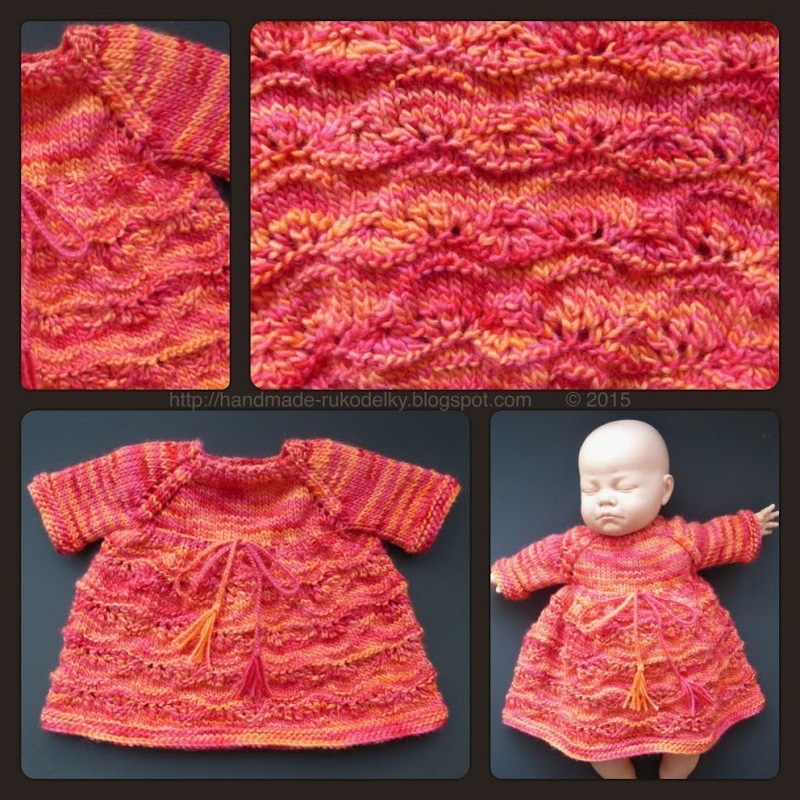 I took this yarn and started to plan a dress for a baby. I made a sketch, picked a pattern, and counted my stitches - so my planned design would go hand in hand with the lacy pattern. The next day I took my tools, yarn and camera and started videotaping. If you are a knitter and you are looking for a happy and cheery design stop by again in one or two days - when I am finished with editing this video and when I upload it to youtube perhaps you would like to knit along with me. In the mean time here is a link to my other videos in my HandMadeRukodelky channel on Youtube.